Education-focused publishing house S Chand & Company Ltd will invest an additional amount of Rs 35 lakhs ($53,891) in ed-tech startup Smartivity Labs Pvt. Ltd, it said in a stock exchange filing. Smartivity, which deploys augmented reality and robotics for kids’ learning projects, will use the investment for its business operations and product portfolio expansion. As per the deal, the publishing house will acquire 176 compulsorily convertible cumulative preference shares at Rs 19,853 per share. Currently, S Chand holds 23.29% of the company on a fully diluted basis. Smartivity had raised $1 million (around Rs 6.7 crore) in pre-Series A funding led by S Chand and early-stage investment firm AdvantEdge Partners in May 2016. The round also saw participation from Singapore-based fund CFG Offshore Holdings, US-based fund Tandem Capital and a clutch of individual investors. In 2015, S Chand had invested a seed amount of $200,000 in Smartivity. IIT-Delhi alumni Apoorv Gupta, Ashwini Kumar, and Rajat Jain and communications graduate Tushar Amin started Smartivity in January 2015. Kumar, Gupta and Jain had earlier founded a startup called Yoohoobox, which offered art and craft projects on a monthly subscription format. Smartivity conceptualises, designs and develops activity-based science, technology, engineering and mathematics (STEM) learning concepts for the education and toy industry to make learning smarter for children. Founded in 1939 by Shyam Lal Gupta, S Chand Group is now owned and managed by Himanshu Gupta and Dinesh Kumar Jhunjhnuwala and their families. S Chand had raised nearly Rs 179 crore ($27 million) from International Finance Corporation, the private-sector investment arm of the World Bank, and existing investor Everstone Capital in November 2015. In 2012, Everstone picked up 35% stake in S Chand & Co for $38 million. In 2014, S Chand Group acquired a majority stake in Delhi-based publisher New Saraswati House (I) Pvt Ltd. The company made its trading debut on the Bombay Stock Exchange (BSE) in May last year. At that time, its shares listed at a slight premium to its initial public offering price before slipping. Currently, its shares are trading at Rs 402.55 on the BSE. In February this year, Delhi-based ed-tech startup Avishkaar Box, which offers a product similar to that of Smartivity, raised Rs 5 crore ($772,500) in a pre-Series A round of funding from Auxano Deals. Avishkaar manufactures and sells robotics-based educational kits for school-going students. 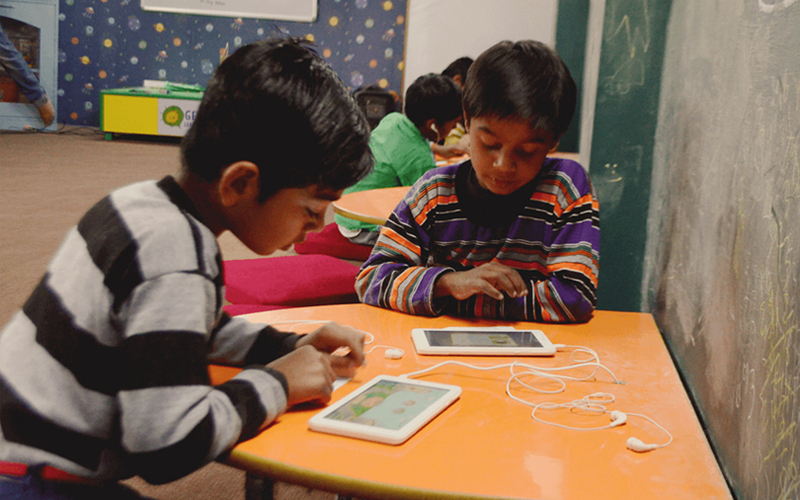 Early this week, TechCircle reported that online tutoring startup Vedantu Innovations Pvt. Ltd is raising up to $10 million (Rs 65 crore) in a fresh round of funding. Hyderabad-based ed-tech startup IndigoLearn also raised $150,000 this week from a group of angel investors based in India, the US and Europe. In March, Buddy4Study raised $3 million (Rs 20 crore) in Series A funding from existing investor CBA Capital, which is backed by the Michael and Susan Dell Foundation (MSDF). In February, Toppr, Littlemore, CollegeDekho and Shirsa Labs Pvt raised VC money. The ed-tech deals made in January this year include iNurture, AEON Learning Pvt. Ltd, CollPoll, and Rubix108 Technologies.